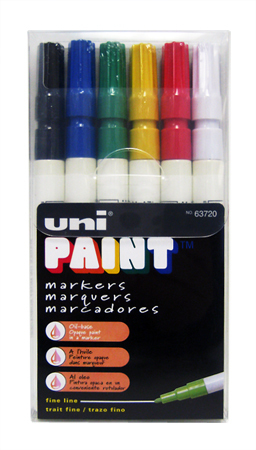 These wonderful Uni Paint markers feature weather-resistant, fade-proof colors. When you order a pack of these Sanford Markers, you'll get six colors in each pack. Each paint marker tip has an approximately 1/16" diameter.